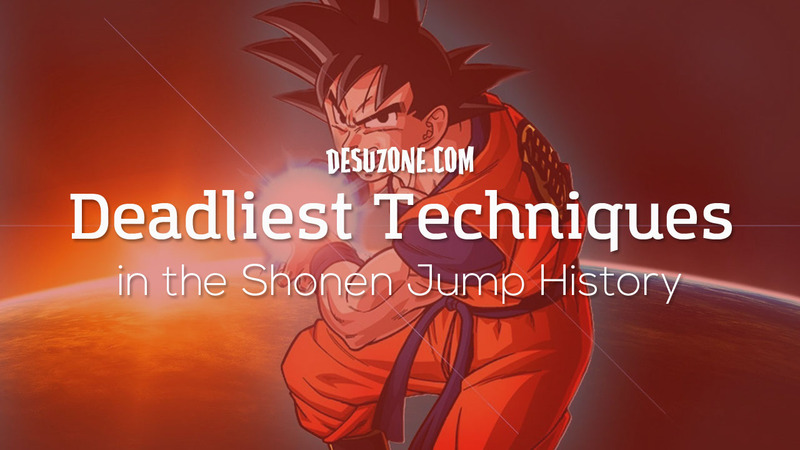 Top 10 Deadliest Technique in Shonen Jump History – Desuzone '+g+"
The hero from anime boast an seemingly endless list of abilities. These abilities can be dangerous and deadly. Here, we're talk about deadly technique that will be decided at the best and cool timing in the battle. Goo Ranking asked the Japanese fans to choose the deadliest technique in the history of Shonen Jump. Who don't know about Kamehameha? It's the first energy attack shown in Dragon Ball series, and yet is the most popular anime technique. Mostly, the Kamehameha used to finishing attack and is Goku's signature technique. It's also a signature attack of the students of the Turtle School. 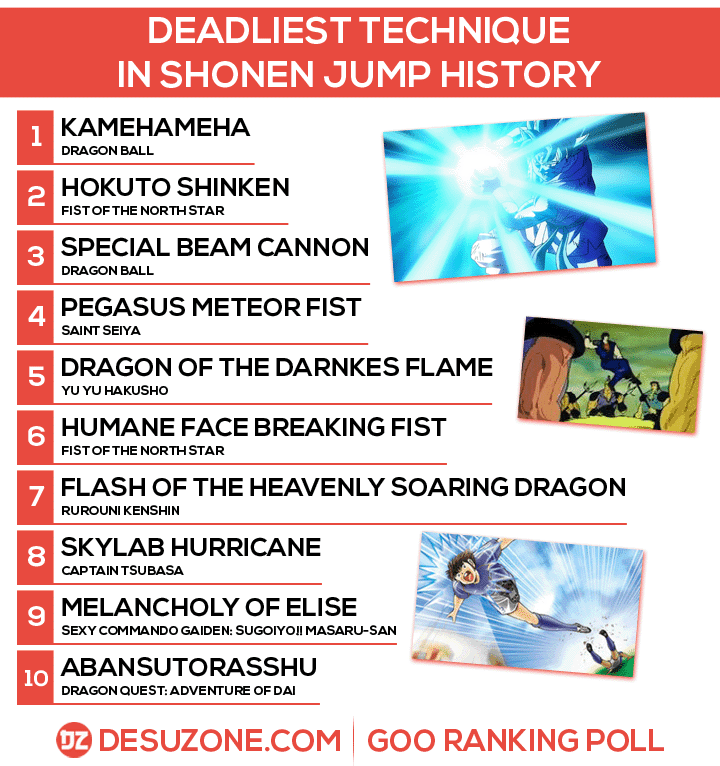 The Kamehameha ranked first, followed by Hokuten Shinken and Special Beam Cannon in the second place and third place respectively.